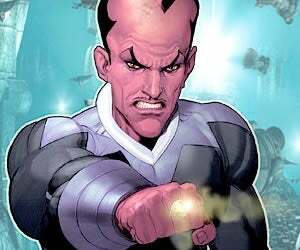 Depending on whose exclusive you believe, the Green Lantern movie still hasn't found its Sinestro just yet. Rumored first choice for the role Jackie Earle Haley is telling everyone that no-one's asked him yet. I know the guys that are doing it. It's exciting to me... It makes me want to go get the Green Lantern comics and start reading up. We're unconvinced... and worried about Haley overspending his geek cred with Rorschach, Freddy Krueger and now Sinestro (Not to mention his Human Target role on TV). But what do you think?